SEATTLE-PUYALLUP WA -- July 11, 2015 -- Watts Specialties, Inc., an industry leading pipe and tube fabrication manufacturer, announced that it has joined the Mechanical Contractors Association of America (MCAA). 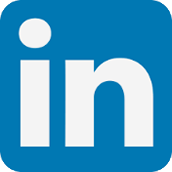 MCAA is a thought-leading organization representing over 2,000 companies and organizations involved in heating, air conditioning, plumbing, mechanical services and pipe fabrication. "We are excited to be part of Mechanical Contractors Association of America," said David Dunham, Sales Manager for Watts Specialties. "Being part of MCAA speaks to the quality of Watts equipment and to our commitment to continued excellence in the fabrication industry. We are honored to be in this organization and we look forward to putting forth our contribution to push the industry into the future." Watts Specialties is a Premier, US manufacturer and global supplier of Industrial pipe cutting equipment; specializing in CNC pipe profiling solutions. Watts Specialties focus on productivity, efficiency, and safety include our exclusive PypeServer CAD software and logistic solutions with material handling conveyors and storage rack products. Watts Specialties is headquartered in Washington State near Seattle and welcomes visitors to come see our equipment. SEATTLE WA - October 10, 2013 -- // 24-7 Press Release // -- Watts Specialties, Inc., leading pipe and tube fabrication manufacturer headquartered in Washington state will exhibit at the FabTech tradeshow. 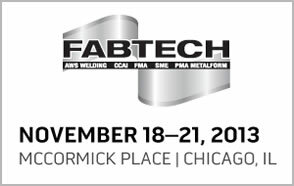 FabTech 2013 will be the largest metal fabrication event in North America with over 35,000 people in attendance and 1,500 exhibiting companies. "Watts Specialties always attends these major events," said David Carr, Director of Sales for Watts Specialties, "and we will be at FabTech showcasing our W-244 Plasma Cutting Machine and the industry-leading PypeServer software, a 3D CAD-style pipe programming system for your at-machine, and remote programming needs." "The PypeServer software is a complete pipe and job management system that will save you time and money by increasing the productivity of both employees and your Watts Specialties machine. We will be at Booth N2271. Come see our live demonstrations and we will be happy to discuss your fabrication needs." Watts Specialties will have two computer controlled pipe cutting machines (CNC) on display at FabTech 2013: the W-244, six axis machine and the W-122, two axis machine, both systems offer vertical and horizontal compensation for "bent" or "out-of-round" pipe. 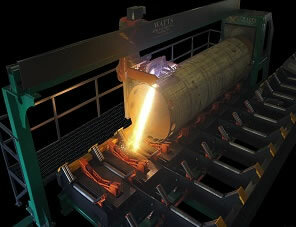 Watts Specialties has been recognized as a manufacturer of high quality pipe cutting equipment for over 35 years. Watts equipment can be found in welding shops in multiple industries all around the world, saving time and money for the owners. Watts Specialties is headquartered in Washington State near Seattle and welcomes visitors to come see our equipment.